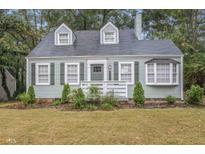 Find East Point, GA Homes for sale. View Photos, Maps and MLS Data Now! 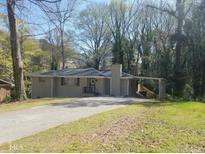 Located Close To All Major Hwys., Atlanta Airport, Delta And Porsche. MLS#8567718. Red Door Realty Group Corp..
Request Your Personal Tour Today Of This East Point Gem. MLS#8566054. Atlanta'S Upscale Properties. Large Level Back Yard, Out Building, The Seller Is Only Considering Cash Offers, Utilities Are Not Available For Inspections, No Blind Offers, Must Provide Pof With Offer. MLS#8566630. A.K. Neal Realty. With A Private Garage And Walking Distance To 85N And Downtown Hapeville, Makes This House Perfect For Live, Work And Play. MLS#8560131. Millennial Properties Realty. Bayberry - This Is A Great Investment! Calling All Investors! ! MLS#6532414. Palmerhouse Properties. Waiver Required For Entrance. No Blind Offers Please MLS#8558575. The Thomas Agency Of Georgia. No Property Disclosure. Rely Upon Home Inspection. MLS#8556000. The Realty Exchange. Next To Bus Line & To Main Intersections! MLS#8552538. Lakes Georgia Real Estate. 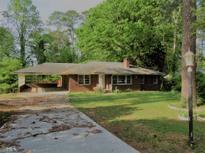 Fenced In Backyard, Mature Trees, Hardwood Floors, Nice Sunroom, Has Great Potential To Make Your Own. Sold As Is. MLS#8549046. Palmerhouse Properties Realty. Kitchen Includes Granite Countertops, New Cabinetry, Stainless Steel Appliances. Detached Garage Perfect For Parking/Storage. 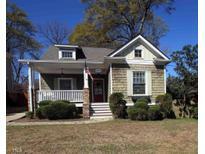 MLS#8548193. Palmerhouse Properties & Assoc. 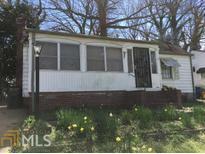 This Property Is A Full Rehab With Loads Of Potential!! ! MLS#8545102. Taylor Made Realty. Private Fenced Backyard With Wonderful Patio Opportunities MLS#8542192. Virtual Properties Realty .Net. Bayberry At Villages Of East Point Offers Low Monthly Hoa With Access To Pool, Park And Playground And Close Proximity To The Beltline, Downtown And Airport. No Rental Restriction. Show & Sell! MLS#6519074. Palmerhouse Properties. Fully Waterproofed Basement W/ Lifetime Warranty! 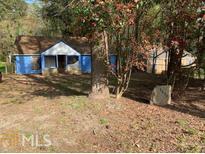 MLS#8541222. Chapman Hall Premier, Realtors. Villages Of East Point - 2 Story With A Open Layout On The Main Level. No Lease Restrictions. MLS#6516050. My Hometown Realty Group. New Development Is Slated To Be Built In Downtown East Point. 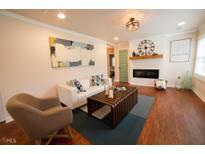 MLS#8534443. Exp Realty Llc. You Will Not Find A Better Renovation At This Price! MLS#8534148. Palmerhouse Properties & Assoc. Don'T Let This One Slip Away! ! MLS#6510335. Jar House Llc. Don'T Miss Out On This Opportunity! Investors Welcome!! ! MLS#8532234. Barfield Realty Llc. Connells Pass - Move-In Ready. All Reasonable Offers Accepted. MLS#8530778. Merritts Realty Company. No Seller Disclosure - Seller Never Lived In The Property. MLS#8530093. Southern Classic Realtors. 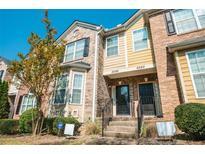 Located Conveniently To Shopping, Schools, Restaurants, Hospitals, Marta, And Major Highways. MLS#8529341. Ronald Escoffery & Co..
Don'T Miss Out On This Great Deal! MLS#8526154. Solid Source Realty Ga. This Property Will Not Last Long. 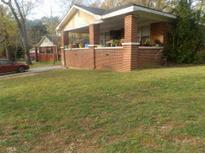 MLS#8525500. Ambassador Realty, Inc..
You Must Schedule An Appointment With The Realtor First, Tim Houska. MLS#8525504. Keller Williams Rlty Atl. Part.